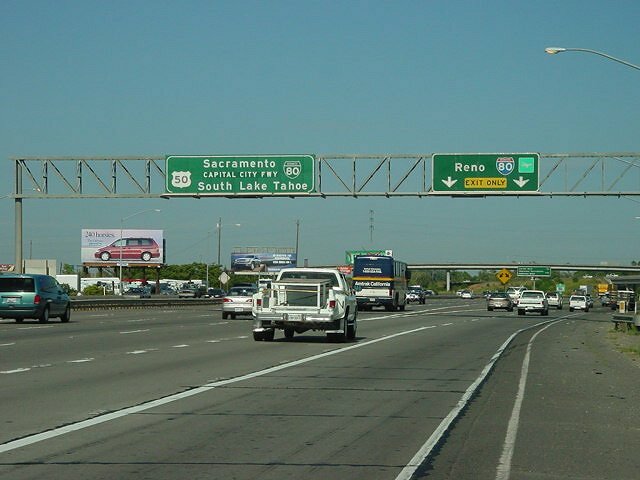 The Federal Highway Administration (FHWA) approved the withdrawal of the unconstructed section of I-80 from the Interstate System on May 15, 1980. 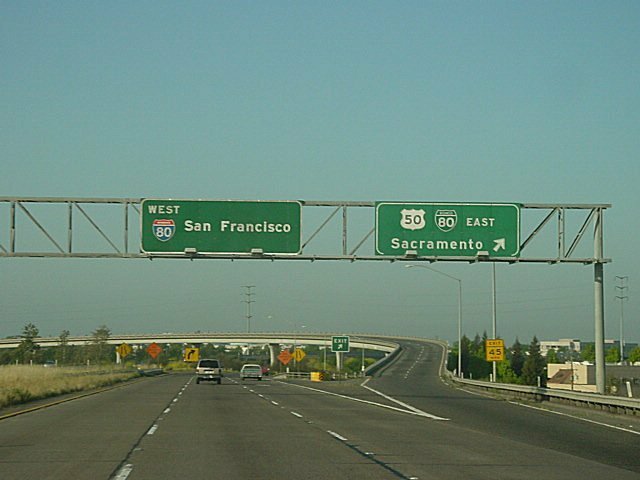 I-80 was rerouted over Interstate 880 to maintain route continuity.1 Signs changes were finalized in 1982. I-880 north of Sacramento was an original Interstate highway, established in July 1958. 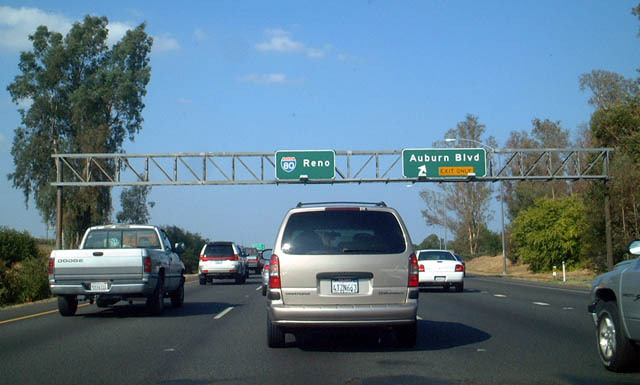 The freeway was completed in sections from West Sacramento to SR 244 between June 1970 and October 1971. 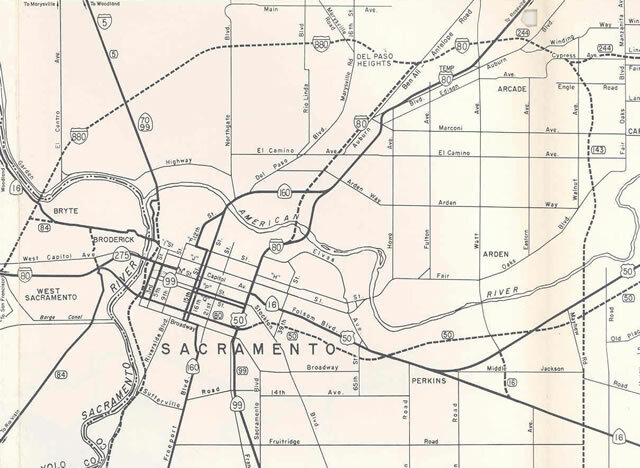 The planned Interstate 880 bypass of Sacramento and the realignment of I-80 – 1969 California Official State Map. 1.5 miles southwest of the merge with I-80 on eastbound Business Loop I-80 (Elvas Freeway). 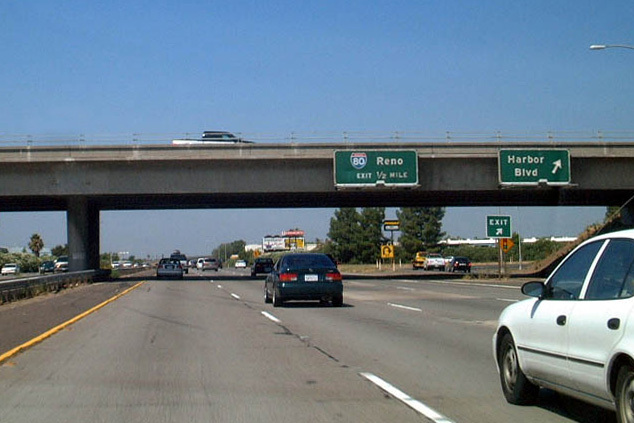 Historically, this Elvas Freeway here was Interstate 80, and the approaching bypass route was I-880. Photo taken 08/22/03. The east end of Interstate 880 tied into the freeway spur of unsigned California 244 to Auburn Boulevard. There is no connection from Business Loop I-80 east to I-80 west at this exchange. Photo taken 08/22/03. 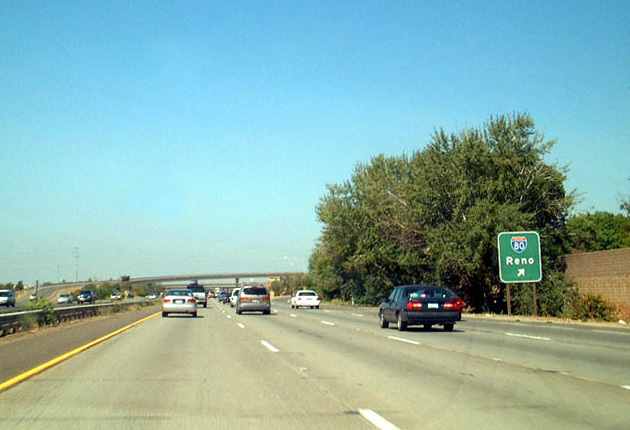 Business Loop I-80 transitions to I-80 east beyond the off-ramp to California 244. Previously planned as a much longer freeway, California 244 is one of the shortest state routes, as it merely links I-80 and Business Loop I-80 with nearby Auburn Boulevard (Historic U.S. 40). Photo taken 08/22/03. Interstate 80 east at the former split with I-880 in West Sacramento. 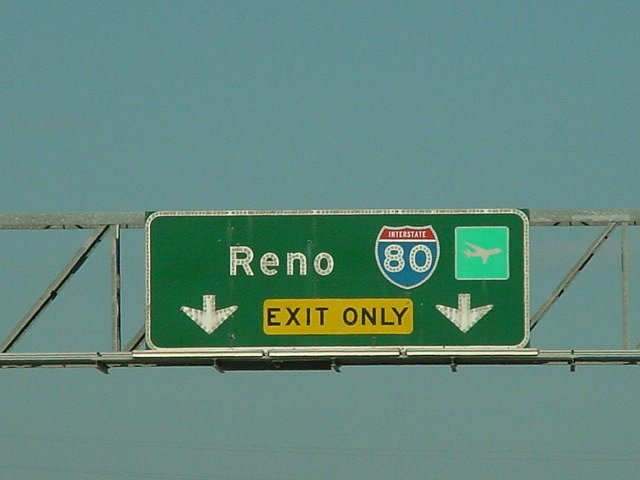 These signs dated from 1970 and prior to 1982, displayed Interstate 880 for Reno. Photos taken by Joel Windmiller (05/12/02). 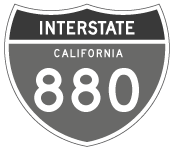 Interstate 880 westbound concluded at the directional T interchange with then I-80 along U.S. 50 and Business Loop I-80 (Capital City Freeway). Photo taken by Joel Windmiller (05/12/02). 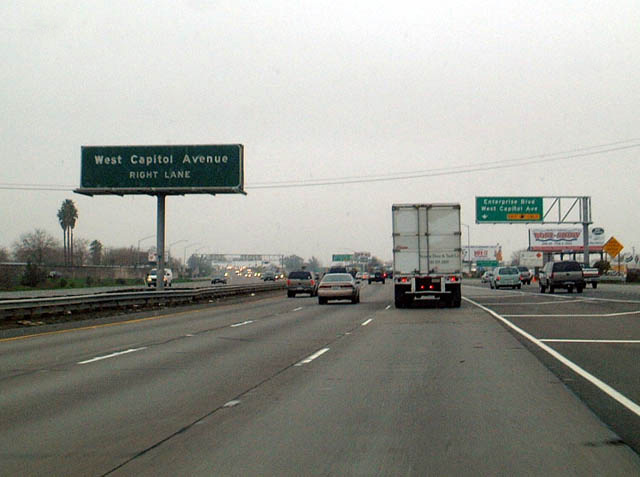 One half mile ahead of the former west end of Interstate 880 along Business Loop I-80 and U.S. 50 at Harbor Boulevard. 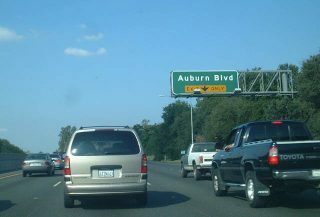 Photo taken 08/23/03. 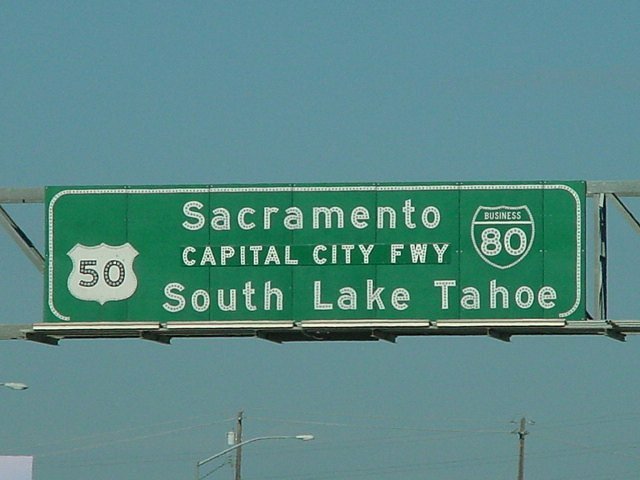 Entering the directional T interchange with I-80 (old I-880) leading east across north Sacramento toward Reno, Nevada. Photo taken 08/23/03. 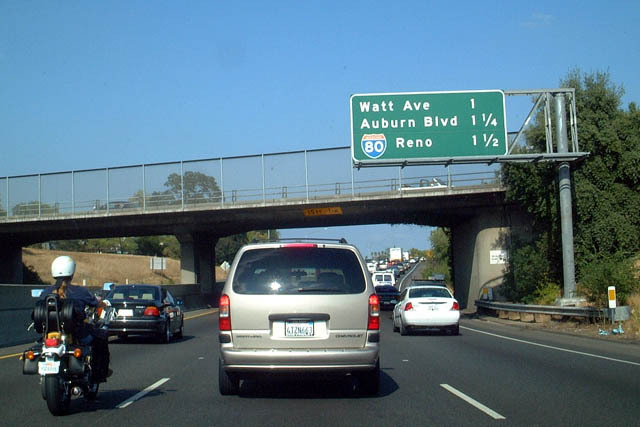 Business Loop I-80 defaulted onto the left side of westbound Interstate 80 ahead of the ramps for Enterprise Boulevard and West Capitol Avenue (Historic U.S. 40/U.S. 99W). Photo taken 01/03.